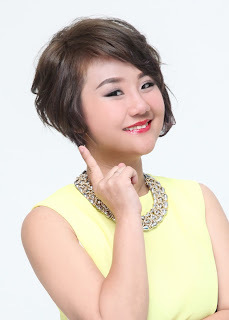 Wendy Pua | Malaysia Chinese Lifestyle Blogger: I am one of the MyMaxi-Peel Journey Finalist! I am lucky one of the MyMaxi-Peel Journey Finalist! Jess & I having high-tea at Old Town Coffee. Devil will receive another call from her. Excited! (Heart Voice: Yuhoo Semi-Final dah Baik! she say all top 8 finalist need to attend a beauty camp @ De’ Palma, Seksyen 20, Shah Alam., this Saturday!!! by the time she is explaining, Devil is over excited and almost happily tearing on the phone. i know Ruby is one of the finalist as well! Going to be Fun Filled Day! Congrats to you so happy for you. Is a blessing hehe..